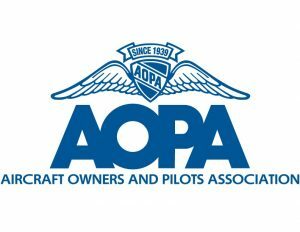 AOPA is the largest aviation community in the world. It is a community of pilots who share their love for flights and are dedicated to everything aviation. It is a not-for-profit organisation which was established in 1939 and currently operates in 75 countries. In its first year, it ended up with a membership of 2000 people, and doubled three months later. Following this growth, local pilot groups called, the AOPA Units were formed. As war began to loom, in 1940, AOPA formed another group called the AOPA Air Guard. Civilian pilots were introduced to military rules and procedures through this program. They helped supply the air forces with manpower and additional pilots. This eventually led to a further growth of AOPA by about 10,000, and 20 000 after the war had ended. AOPA Air Safety Foundation was created in 1950, a nonprofit organisation solely dedicated to general aviation safety, it has also become the world’s largest and most effective safety organisation. In 1958, the stand-alone magazine, AOPA Pilot magazine made its debut. Hartranft who assumed the chairmanship position of the AOPA Board of Trustees in 1977, pushed for the formation of the Congressional Flying Club, to help members of the congress understand general aviation, and it is still in existence today. AOPA have since played a leadership role and fought several battles on behalf of general aviation pilots which includes reductions in life insurance rates. After the death of its last surviving founder and one of the original trustees of the AOPA in the 80s, Alfred L. Wolf, they have launched different networks and have been publishing manuals which helps to maintain the strength and well being of the flying community. They have also helped in the education of pilots and have fought to protect the freedom to fly while making sure that flying is safe and affordable.